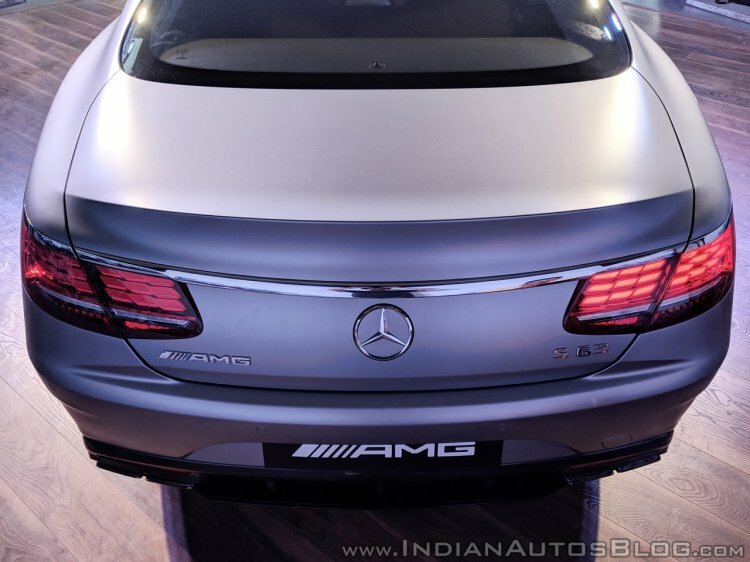 MBIL has added another member to the Mercedes-AMG lineup in India with the launch of the S 63 AMG Coupe. 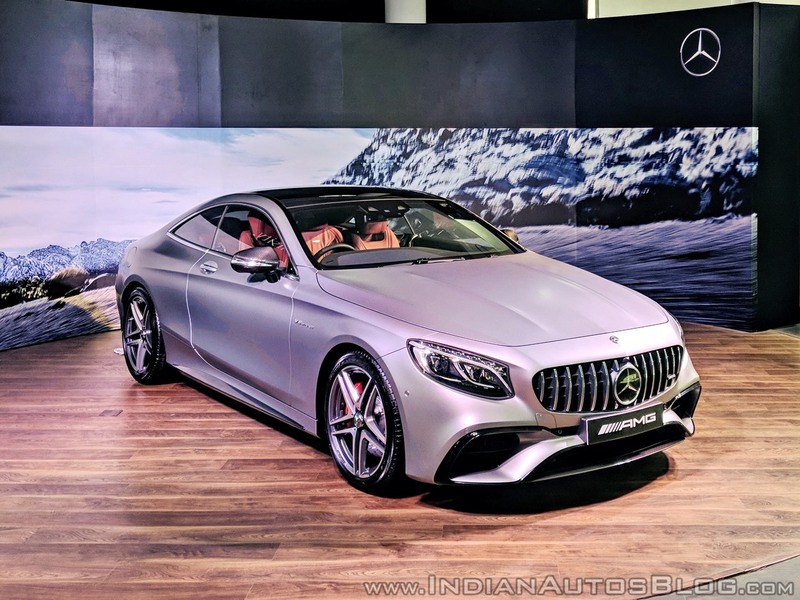 The 2018 Mercedes-AMG S 63 Coupe made its debut at the Frankfurt Motor Show in September last year. The 2018 Mercedes-AMG S 63 Coupe swaps the previous model's 5.5 L V8 for a 4.0 L V8. The most prominent design change comes in the form of AMG's Panamericana grille up front. It is flanked by full-LED headlamps accompanied by large, gloss black lined air inlets placed lower down. At the back, there are all-new OLED tail lights. Inside, there is an updated dashboard with the central display and the instrument console housed under a single glass unit. The cabin can seat four. The Mercedes-AMG S 63 Coupe draws power from a 4.0 L biturbo V8 replacing the earlier model's 5.5 L V8. Despite the downsized engine, the S 63 Coupe's power output has gone up by 20 kW to 450 kW. Peak torque of 900 Nm comes in at 2750-4500 rpm. An AMG SPEEDSHIFT MCT 9G transmission sends power only to the rear wheels. Mercedes' 4MATIC+ AWD system is unavailable. The S 63 AMG Coupe can do the 0-100 km/h in just 3.5 seconds. Its top speed has been electronically limited to 300 km/h. The Mercedes-AMG S 63 Coupe is equipped with Controllable AMG Performance exhaust system as standard. It allows for exhaust note modulation through infinitely adjustable flaps based on the driving mode or as per individual preferences. Mercedes is also offering the car with a full suite of radar-based safety equipment. Features include Active Distance Assist DISTRONIC, Active Steering Assist, Active Braking Assist, and Blind Spot Assist. AMG RIDE CONTROL+ suspension with variable damper control allows the car to adjust suspension settings based on the driving mode and road conditions. The tail lights of the 2018 Mercedes S 63 AMG Coupe get OLED fixtures. Priced at INR 2.55 crore (ex-showroom), the 2018 Mercedes-AMG S 63 Coupe sits at the top of the company's AMG lineup that now has 15 models. Recent Mercedes-AMG launches include the E 63 S 4MATIC+ sedan and the GLE 43 Coupe OrangeArt and SLC 43 RedArt limited edition models.